Hey Friends!! What's every one up to tonight? If you're a local here in Victoria (or live on the island or lower mainland and can get to Victoria) you should definitely head on over to Knotty By Nature for Jane Richmond's ISLAND Book Launch Party!! That's right, Jane is having a book launch and you're invited! So go and help Jane celebrate the release of her beautiful book from 6pm-9pm and while you're there you can pick up your very own copy of the book (if you don't already have one! ), and have the chance to meet and mingle with Jane herself, as well as the model Kylee Shaw, and photographer Nicholas Kupiak. Also take a moment to see and try on the samples from the book, and of course to chat with other knitters! As if that news wasn't exciting enough, Jane is also having a blog tour!! And guess what? Miso Crafty Knits is one of the stops!! I'm so incredibly excited and honoured to be a part of this wonderful tour and I'm still gobsmacked that Jane even asked me! There are some amazing stops lined up and from time to time I have to double check to make sure if I really am one of the stops amongst these fabulous blogs, or if I'm just having one of my knitterly dreams! If you've been reading my blog for a while and follow me on Instagram, than you probably already know how much of a fan I am of Jane and her patterns, and that I've already cast on and bound off one of the patterns from this gorgeous book. 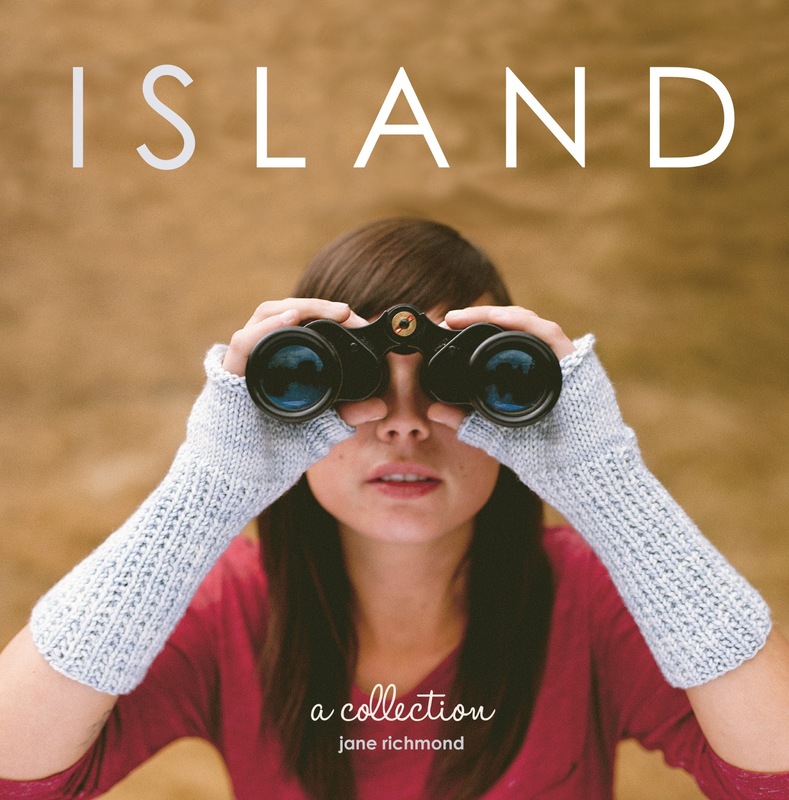 If you haven't already checked it out or still don't know much about ISLAND, then you must go on over to Jane's book page on her blog and feast your eyes on her beautiful debut book. Want a copy of the book? Well come back to this blog next month on February 14th (Valentine's Day!) when the blog tour stops here at Miso Crafty Knits, and I will be reviewing AND giving away a copy of the book to one lucky reader!! Want more chances of winning a copy of the book? Follow along on the blog tour because there's a chance to win at each one! I got my copy of the book in the mail about a month ago and can't wait to make everything in it - plus I'm looking forward to seeing your version of Grace. The designs are beautiful and the photography in he book just stunning! Congrats on being part of the blog tour.